KFC in the US first introduced their sweet and savoury waffle chicken burger drizzled with maple syrup, which inspired Thailand to create their own “chicken and cone” this year. 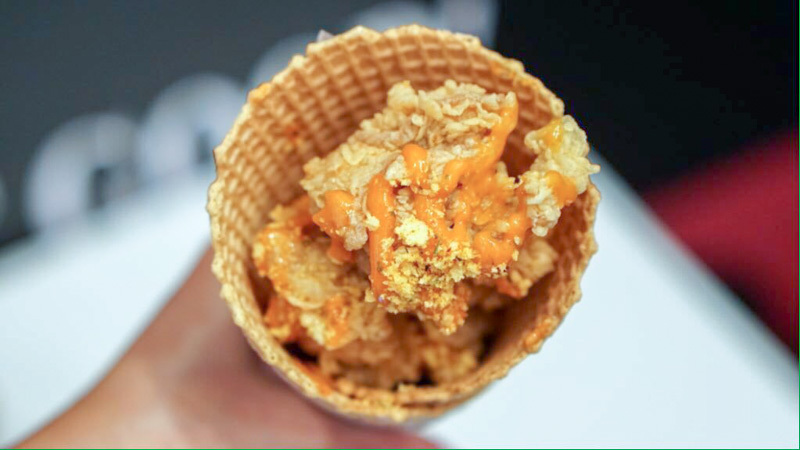 This unique concoction known as the Chiffle (THB49) consists of a large waffle ice cream cone filled to the brim with traditional gai pop (popcorn chicken). This savoury and sweet dish is then topped with their local spicy sauce. This is not Thailand’s first experiment with ice cream cones, they have previously introduced a dark chocolate ice cream sprinkled with spicy chicken bits. The crispy gai pop that’s used in the ice cream cone has also been available on its own in Thailand’s KFC outlets. 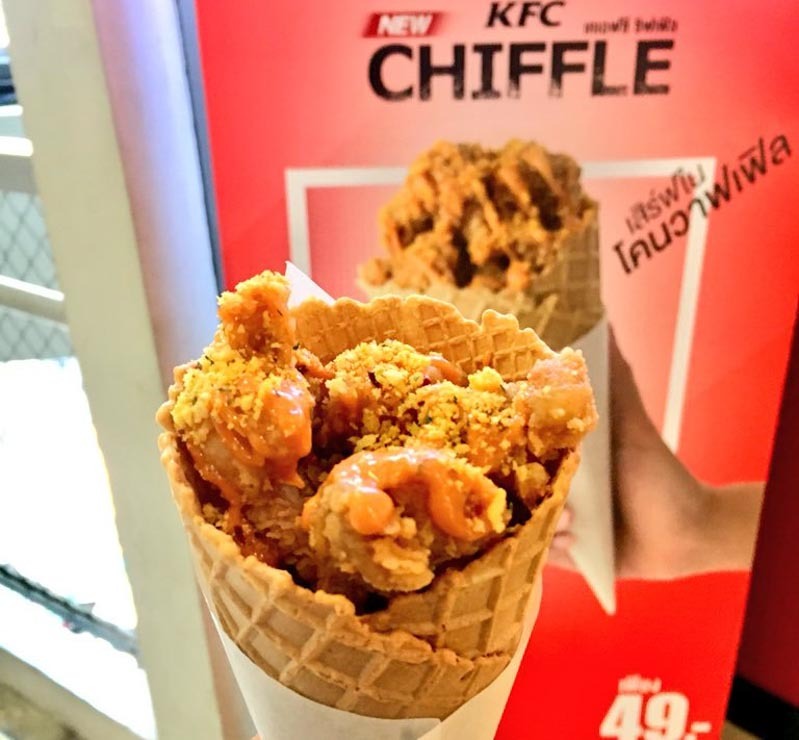 If you are travelling to Thailand and are looking for an unusual snack, why not head over to a KFC outlet to try their Chiffle? You won’t be able to get this in Singapore!